The Ubee U10C035 is the same model as DDM3513 with an only known difference of easier-to-read LED indicators. 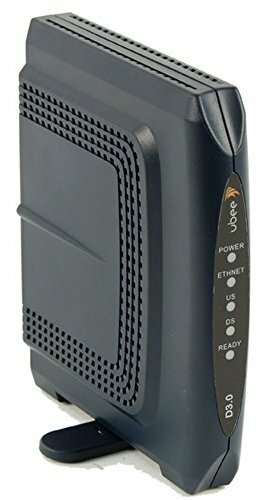 The modem is approved for most cable service providers and has IPv4 and IPv6 support, still being one of the slowest models for basic plans reaching speeds up to 172Mbps. If the DDM3513 is hard to find or more expensive, this is still cost-effective for a rental replacement for basic service plans.